Baltimore is a fairly close city to my home–just over 50 miles away. Their FM stations boom into my Northern Virginia home and are considered semi-locals. 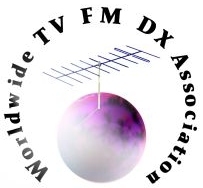 At any given time, I can receive HD Radio reception from their 95.1 WRBS. 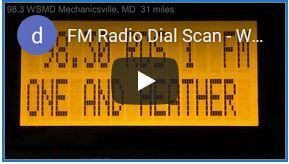 Other FM signals from the city, such as 91.5 WBJC, 92.3 WERQ, 101.9 WLIF, and 105.7 WJZ, have HD Radio signals that decode very often year-round as reception conditions warrant. Two Baltimore FM stations, however, never decoded IBOC reception at my house until recently: 102.7 WQSR and 104.3 WZFT. WZFT decoded for the first time last week. WQSR finally did too in the early morning hours of April 16. WQSR is usually strong enough at my home to decode RDS. I knew it broadcasted HD Radio since it decoded on recent trips to the city, but it rarely did here since its IBOC sidebands on 102.5 and 102.9 are occupied by other signals locally. The stars aligned and WQSR’s IBOC decoded for about 15 minutes before disappearing. The screenshots below were added to my HD Radio and RDS Screenshots page.